For a devout woman who led a sheltered existence cut short by Lupus at 39, Flannery O’Connor did an awful lot of living. The eccentric Southern author wrote acclaimed novels like Wise Blood and stories like “A Good Man is Hard to Find,”composed book reviews for Catholic newspapers, raised peacocks and other birds, and shocked her doctors by living far longer than they had anticipated. It turns out O’Connor’s literary life was even more chockablock with activity than previously imagined. 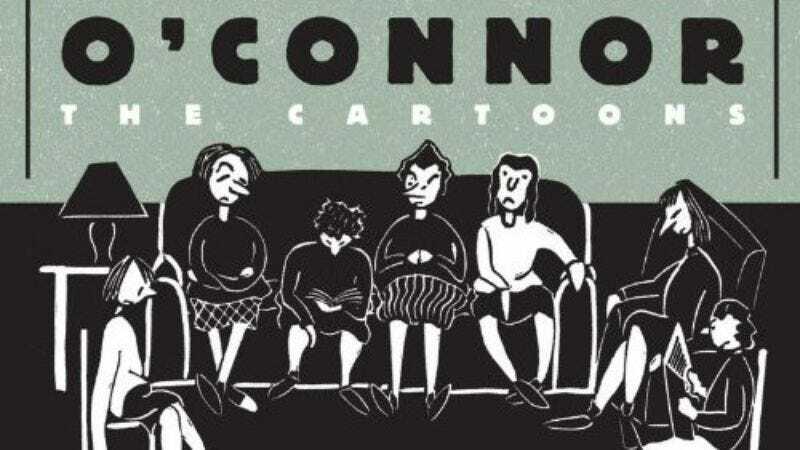 While a college student, O’Connor filled her notebooks with drawings and cartoons and comic strips, some of which she submitted to The New Yorker. Later this year Fantagraphic Books will release Flannery O’ Connor: The Cartoons, a posthumous collection of the author’s graphic work. O’Connor’s funny drawings are distinguished both by the author’s morbid sense of humor and surprisingly sharp and memorable visual sense. Nearly a half-century after her death, O’Connor continues to surprise.